In the thick and rush of news related to Greece, it seems world media has missed something. Something very, very important and that too it’s happening right in the neighborhood of the Indian Subcontinent and has major global implications. I am sure those amongst you who have read ‘The Third World War‘ book authored by Dr. Aniruddha D. Joshi might have already guessed it by now. Yes, I am talking about the Iran nuclear deal that has been reached just a couple of days back between Iran and the world powers. Iran is required to give up on bulk of its nuclear program. It will have to ship 98% of its enriched uranium (nuclear fuel) abroad. Iran has further agreed to a 15-years ban on processing fuel that is close to being weapon-grade, conducting uranium research outside of more than one processing facility, building new heavy water reactors and accumulating fuel stockpiles greater than 200 lbs. 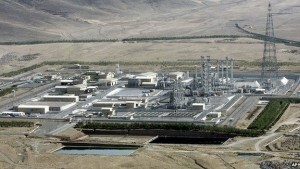 Iran would also inactivate about 15,000 of its 20,000 installed centrifuges and store them under international supervision (centrifuges turn fuel into weapons material) and destruct its nuclear reactor core at its Arak facility. Apart from civilian economic sanctions, sanctions relief related to military technology would be gradual, with arms sanctions remaining in place for five years and sanctions on missiles for eight years. But soon after this short period Iran will be able to acquire new warships, fighter jets, helicopter gunships, tanks and all the needed modern military hardware. The deal further allows IAEA (International Atomic Energy Agency) inspectors to access ‘any site they deem suspicious’, according to a fact sheet released by the White House. Iranian objections to some visits will be handled through a dispute settlement process, according to the agreement. International monitoring will cover Iran’s entire uranium supply chain, including mines, processing and enrichment facilities, reactors and spent fuel. All this is being done to keep Iran away from running any clandestine nuclear program. But inversely the deal now actually recognizes the Iranian nuclear program and gives Iran a clear window to re-enter into nuclear military program after the 15 year sanctions end. 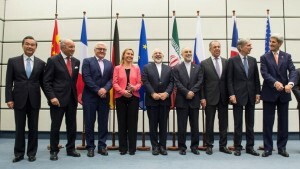 15 years period in face of lifting of sanctions will certainly not be too lengthy for Iran. In exchange of these primary conditions the world powers will remove civilian economic sanctions that have been slapped against Iran. The happening will immediately unfreeze $100 billion in Iranian cash that has been in escrow for years. Iran also stands to make the same from its energy revenue annually or at least three quarters of that, if energy prices fall as more Iranian oil enters the market. Also, capping on Iran’s energy exports now stands overruled. It will also attract major foreign investment in Iran. Hence experts feel that what Iran stands to gain from the removal of sanctions is going to turn it into a regional powerhouse that would be able to give nightmares to Pakistan and especially Israel, Saudi Arabia and other nemeses of Iran. And it is proved by Israeli Prime Minister Benjamin Netanyahu statement terming the deal as a ‘stunning historic mistake that would provide Iran with hundreds of billions of dollars with which it can fuel its terror machine and its expansion and aggression throughout the Middle East and across the globe’. He said he did not regard Israel as being bound by this agreement. “We will always defend ourselves,” he added. 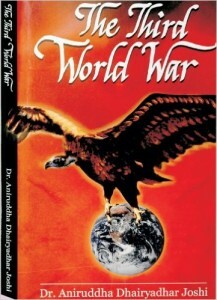 From ‘The Third World War’ book authored by Dr. Aniruddha D. Joshi we are aware that chances are that the Third World War would be sparked off from conflict in Middle East. Taking the above points into consideration something looks amiss while comparing the publicity that Iran episode has received in comparison with that of Greece. It also feels that the deal may have been signed between countries but it is safeguarding vested interests of some ‘specific groups’. Is it that the Greece agreement has been specifically planned to overshadow the happenings in Middle East which has a capacity to engulf into conflict not just Middle East but rather the entire world? Why is the United States and its allies agreeing on a deal which looks more beneficial to their arch-rivals Russia, Iran and Syria? Unless the common man starts actively viewing the happenings around him, he is in to be taken for ride by ‘those’ who want to rule over their minds and souls. Ambadnya Dada for such a eye opening article, indeed this situation can be a trigger to 3rd World War. 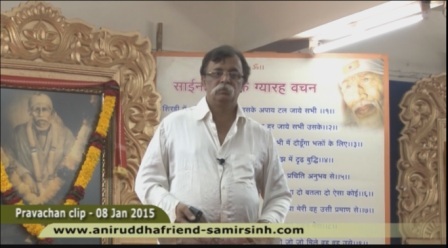 Ambadnya for the vital source of information. I really did not think that these two events may have some link. Completely brain washing article !!! Yes, there is always something to read between the lines in such agreement. “They” arevin search of a trigger to start 3rd world war. They tried in ukrain, syria but failed. This agreement could be the trigger if Israel responds. Hari Om Dada. What appears on the surface is totally different from the core truth. Ambadnya for the thought provoking article. WE HAVE TO MAKE OUR SELF MORE AWARE AND IN TURN MAKE ALL SHRADHWAN TOO . 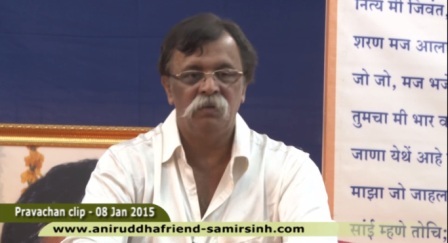 RAMO RAJMANII VIJAYTE …. Ambadnya for pointing out some of these hidden aspects about the deal… its really due to Bapu that we have learned to look at things from a holistic point of view and not only rely on the facts laid out by the media. Prima facie, it seems that India would benefit out of this.. but what actually happens needs to be seen. Thought proving article…US has completely ignored the warning from Israeli…..What is in there for Russia and Iran?